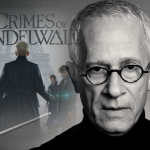 The Academy of Motion Picture Arts and Sciences has revealed shortlists of semifinalists in nine categories for the 2019 Oscars race and composer James Newton Howard’s spellbinding soundtrack for Fantastic Beasts: The Crimes of Grindelwald is included on the list for Best Original Score. This is the first time in 40 years that shortlists have been revealed in music categories prior to the nomination announcements. 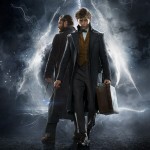 In addition to the enchanting orchestration that underscores the latest installment of the Fantastic Beasts prequel series, there are quite a few connections to the Wizarding World on the Original Score shortlist below. Harry Potter alum Brendan Gleeson, Mad-Eye Moody and Harry Melling, Dudley Dursley star in Netflix western anthology The Ballad of Buster Scruggs, Jason Isaacs, Lucius Malfoy could be seen in the role of Soviet General Georgy Zhukov in The Death of Stalin, Julie Walters, Mrs. Weasley, is the housekeeper in the upcoming Mary Poppins Returns, and Isle of Dogs composer Alexandre Desplat was the musical genius behind the Deathly Hallows scores. 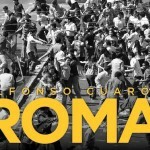 Roma, the semi-autobiographical drama from Prisoner of Azkaban director Alfonso Cuaron that has charmed critics and audiences throughout the awards season, has been named by the Academy to the Best Foreign Film shortlist. Congratulations to all of the Wizarding World cast and creative involved in these projects. 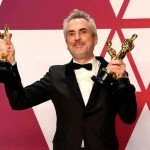 The 2019 Oscar nominations will be announced on Tuesday, January 22 and the 91st Annual Academy Awards ceremony will air on ABC Sunday, February 24 at 8p ET. Be sure to listen to the Crimes of Grindelwald soundtrack above and see if you remember which tracks played during which scenes of the film if you haven’t yet. James Newton Howard’s score truly is pure magic!